Zikaron, the mitzvah of remembrance, has always been a sacred responsibility. Ever since we became a people, we have been commanded to remember. The philosopher George Santayana said, “Those who cannot learn from the past are condemned to repeat it.” We remember our past by retelling our history, by observing the holidays and rituals, by saying Kaddish for those who died and by naming our children after those in the past. The Torah uses the term “remember” over 200 times. In 1947, a Polish Jew named Leopold Pfefferberg vowed to make the story of Oskar Schindler famous. One day, in 1980, an Australian writer, Thomas Keneally, happened to stop in a Los Angeles luggage store where Pfefferberg worked. In a short conversation, Pfefferberg “sold” the story to Keneally. In 1982, a proposal for a screenplay was brought to Steven Spielberg. At the time, Spielberg had little connection with his Jewish roots but finally, a decade later, he was ready to make the movie. Spielberg learned and connected to his Judaism through a film of remembrance. “The film is a remembrance for the survivors, for my mother’s generation and the people who should learn more. I am doing service, for the first time, to my Jewishness,” he stated. One line in the Torah sums up the importance of memory: “ … and there arose a new king who knew not Joseph” (Exodus 1:8). If Pharaoh had only remembered how Joseph had saved Egypt from famine, perhaps the Jews would not have been slaves and the whole story of Exodus might have never happened. But Pharaoh did not remember Joseph and Moses came forth to take the Israelites out of Egypt. Throughout the story Moses reminds the Israelites to remember that they were slaves and to remember to follow God’s commands. With your whole family together, let each person tell of a special memory they have of each person in the family. Think of a way you can keep these memories — maybe a family memory book or even video tape. The rabbis say that “we were all at Sinai.” Pretend you are standing at Mt. Sinai with Moses and tell what you “remember” happening. Play the game of telephone in which one person whispers something to the next and then passes it on. What happens? How are our stories changed when we tell them over and over? Do you have any stories that you remember word for word? Talk about how to pass on memories. Laura Seymour is director of camping services and director of Jewish life and learning at the Aaron Family Jewish Community Center. As our congregations shift into New Year mode and gear up for a new religious school year, I’m thinking back to the little shul where I spent my childhood Sunday mornings. Robert Fulghum wrote that he learned everything necessary for life in kindergarten; I learned everything necessary for Jewish life during one year of Sunday mornings in Mrs. Simon’s kitchen. More than 80 years ago, Mr. Simon helped found a small congregation on the fringe of a thriving urban Jewish community that already supported several very large synagogues. His family gave its home to the new entity, B’nai Emunoh, while continuing to live above its long, thin sanctuary. I walked there every Sunday School morning of my childhood. This was incredibly lucky because B’nai Emunoh grounded me in my faith. It’s where I became fully aware of Judaism as historic yet modern, small but mighty, something to be proud of and committed to. Its classes are where I found out what the Cave of Machpelah was, and is, and knew I had to go to Israel someday to see it in person. In its classes I read and discussed Sabbatai Zevi, found out who he was and how to pronounce his name, and absorbed enough about false Messiahs to carry me into and through a lifetime of truly understanding why there can be no such thing as a Jew who believes in the divinity of Jesus. It’s where I began to teach religious school immediately after my own confirmation, and developed my participatory love of Jewish education. Classes in that little shul’s Sunday School were miniscule. I have a picture of our entire student body together, taken in my confirmation year; all together we weren’t much larger than any single grade in any one of those other not-so-far-away synagogue schools. Each little group met in one specified area of that long, thin sanctuary, kids huddling together on uncomfortable wooden chairs, teachers trying to keep their voices and those of their highly engaged students down so as not to interfere with the mighty learnings going on in all the other little huddles. But Confirmation Class was capital-letter special, because it got to meet away from the hubbub, upstairs in Mrs. Simon’s kitchen. And that’s where I learned everything I’ve ever needed to know about how to live a fulfilled and productive Jewish life: to keep on studying Judaism, because if you do, you will not only receive many personal benefits from it and never stray from it, you may also nurture realistic hopes of being able to enrich the lives of some others as you travel the path of your own life. There were only a half-dozen of us that year in Mrs. Simon’s kitchen, but as with all the tiny confirmation classes before us, we left B’nai Emunoh knowing Judaism, doing Judaism, being Judaism. My own son was married in B’nai Emunoh over 30 years ago. The shul, then already more than a half-century old, had a fire, after which it was rebuilt with improved facilities. But membership declined in the decades since. Just about this time last year, its membership was only 40 families, who decided, sadly enough, that it was time to shut its doors. Then in stepped Chabad, encouraging its young families to buy homes in that fringe neighborhood to assure continuity of the little shul’s always-vibrant Judaism. So now, the spiritual leader for half the congregation’s history has been able to step down from daily pulpit duties to reign as Rabbi Emeritus over a now-growing membership which, as B’nai Emunoh Chabad, is mingling the minhag of the past with its own modernity. Mrs. Simon is long-gone herself, so classes don’t meet in her kitchen any more. But its lessons are still taught, every day, not just on Sundays, in the synagogue house that was her home. They are powerful lessons. They will endure forever. Linda Ravech Mesnik, who you may remember from last week, was in town for our Trinity Valley 30th, was kind enough to include me at dinner on July 14 at Charleston’s. I don’t need too much of a reason to go to Charleston’s, not the least of which was that it was one of my mother Rene’s, of blessed memory, and her dinner crew’s favorite watering holes. In addition to Linda and Annette Smith, whom I reported on last week, were Sara Blanc and Lauren Berger McCormick. As Lauren says, “if you knew me as ‘Laurie,’ you knew me a long time ago.” Lauren and her husband, Steven, a firefighter, have a son, Brandon, who is a gifted trombone player as well as singer, actor and piano player. 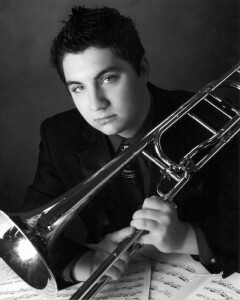 He was recently featured on the cover of Burleson Now and will be a sophomore this fall at the University of Texas at Arlington. Sara Blanc, who graduated just a year behind us in ’84 from Paschal, left her career as a graphic artist about 10 years ago and has dedicated her life to caring for animals, mostly at Banfield Veterinary Clinics, which are part of PetSmart. Sorely missed was Gayle Solomon Biemeret. Gayle and her daughter, Brittany Ackerman, were on a whirlwind tour of Los Angeles and Southern California in honor of Brittany’s 20th birthday. Brittany is studying advertising at UT Austin where she will begin her third year in a few short weeks and is a member of the Zeta Tau Alpha sorority. 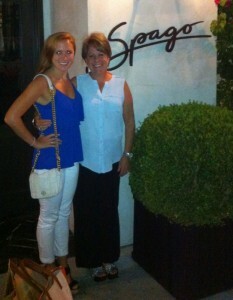 Highlights of the trip were Spago for dinner and The Ivy for lunch, and Sprinkles Cupcakes and ice cream each day. Gayle wrote, “our favorite part was the ATM for the cupcakes!” The duo also shopped ‘til they dropped’ and visited Santa Monica Pier, Venice Beach and Grauman’s Chinese Theatre. They were in the audience for a taping of the Voice and the Kris Jenner talk show. Gayle said she saw Kourtney and Khloe Kardashian there, too. The Beverly Hilton served as a nice place to hit the hay every night. The fifth installment of Ahavath Sholom’s popular film series, “Victim, No. 17” will begin at 6:30 p.m., right after evening minyan. The Israeli documentary is about a terrorist suicide attack during the Intifada. One of the victims, No.17, was unidentified and this story is about the search for his identity. Rabbi Andrew Bloom, who served as a medic in the IDF, will lead the discussion after the film. Debby Rice tells me that “our post-film discussions are enlightening and enjoyable.” The films are free, and so is the popcorn and cold drinks. Everyone in the community is invited. The 2013 Summer Film Festival committee has done a great job planning and putting on the films. Heartfelt thanks to Liz Chesser, Elizabeth Cohen, Kate Cohen, Hedy Collins, Will Kutler, Dr. Jane Pawgan, Debby Rice, Reggie Rog, Jayna Sosland and Jim Stansbury. Congregation Ahavath Sholom’s 2013 Summer Film Festival is partially funded by the Jewish Federation of Fort Worth and Tarrant County, and CAS appreciates its help so much. Katy Swartz has been awarded a Fulbright U.S. Student Program scholarship to Bulgaria for an English Teaching Assistantship. Katy will be teaching at 134 Dimcho Debelyanov Secondary School in Sofia, a Hebrew and English Language specialty school. Katy, the daughter of Lynn and Jim Swartz of Colleyville, graduated from Fort Worth Country Day School and Smith College. Firstly, you make the assumption that for a Jew who believes without thinking deeply, why he or she has that belief has “no logical reason” to believe? While it is true that Judaism exhorts us to delve deeply into our beliefs, and one does not fully fulfill the mitzvah to embrace our beliefs without doing so, that does not make one who espouses our beliefs with simplicity, or “emunah peshuta,” as “illogical”; rather simplistic. If someone believes their computer works simply because they see that it does without understanding computer programming or operating systems, although their understanding is simplistic it is not illogical, and it works that way for most people. Only those who understand computers on a deeper level are going to make a difference in the world of computers, but the majority who don’t comprehend them are not illogical people. It is just that going with the flow of something they see works, works for them. The commandment to “believe,” in its entirety, consists of the actual belief as well as the understanding of both the logical and historical affirmations of our belief system. One who merely espouses the “simple belief” without delving into the historical and logical verifications of our belief system has not yet fully fulfilled that mitzvah, although he or she is considered a believing Jew. As I have written in past columns, Christianity, in many of its beliefs, is quite the opposite; it is virtuous to “just believe,” and to question it or subject it to scientific verification could label one as an apostate. This, as mentioned before, is the subject of the opening section of the classical Jewish philosophical work “Daas Tevunos” (of R’ M.C. Luzatto). A Christian who believes in his or her system just because they were brought up that way is also not being illogical, just simplistic. Your assumption that we hold that they will be “punished” for their beliefs as opposed to the Jew being rewarded, is not entirely correct. Some forms of Christianity don’t clash with the basic seven Noahide laws. Those branches of Christianity that deify their lord (who was just a nice, Jewish boy), come into conflict with the core commandments given to Noah for all of humanity upon leaving the ark. It is incumbent upon all of mankind, by virtue of being a human with the power of thinking, to understand and fulfill those seven laws, one of which is “not to serve idols.” To deify another person and to serve that deity may be considered idol worship. Anyone who serves idols, even if they were simply brought up that way, will be liable for their actions at the end of the day. Only God will be able to judge to what extent each individual is liable for such actions; to what extent they had the ability, based upon that individual’s unique circumstances, to have truly embarked upon a search of the truth and to reflect upon the religion they were bequeathed by their forebears. But some liability, with whatever that entails in their eternity, does exist. In that way, we truly are “lucky,” as you mentioned, that our forebears — Abraham, Isaac and Jacob, and Sarah, Rebecca, Rachel and Leah — bequeathed us the direct will of God. One who espouses their beliefs, even without the full depth therein, is ipso-facto connected to those spiritual giants and to millions of believing Jews, all connected to the Al-mighty by fulfilling His will. It seems like just yesterday that I packed camp items for Amy, Reuben, Jordana and Ethan as they left to attend summer camp in the Texas Hill Country. Echo Hill was a “tradition,” and my sisters all attended camp there. Sharon is five years older than Amy, so she was there to guide her down some of the paths of camp lore and pave the way. Sharon later became a CIT and counselor. Judy was a camp counselor and Susan, a camper and CIT. This summer eight Bernstein, Davidsohn and Doty cousins attended Echo Hill Ranch along with their cousins Jimmy Ray (camper) and Benjamin Ray (counselor) who was described by his cousin, Zachary as “I have the most awesome counselor. His name is Ben Ray.” This year, in addition to the grandchildren and nephews who attended, my youngest daughter, Jordana Bernstein, went back to camp for the summer in an administrative position. Although the “cousin group” is a large contingent in itself, they were joined by a host of friends and campers who made the trip to the “Little Green Valley” and created lasting memories. 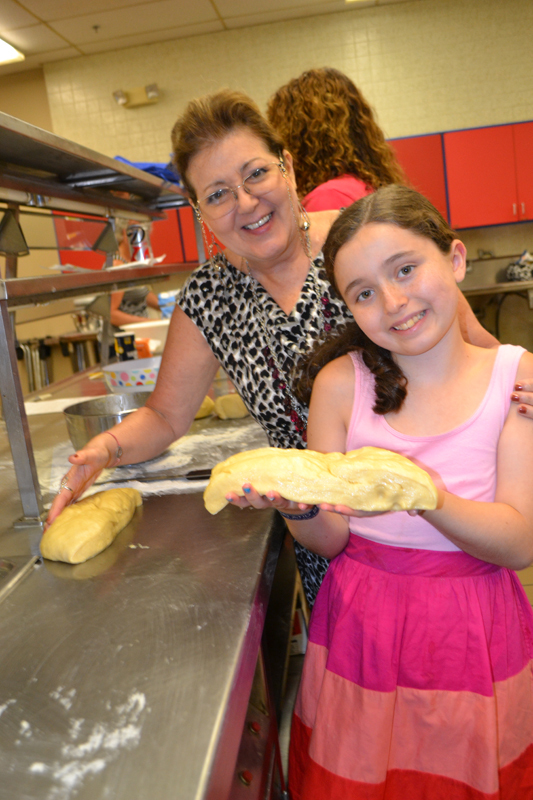 This year Rosie (Bernstein) made new memories while attending Camp Stone in Sugar Grove, Pa. I spoke to Jordana once by phone, who reported that everything was wonderful and that all the kids were having a great time. Now that camp is over all I can think of is the dirtiest word in post camp language — laundry. The only thing I could be certain of when my campers returned home long ago was that I would pull an all-nighter — washing, drying and folding my nemesis. I do know folks who forego this rite of passage by smartly discarding post-camp clothing — or patronizing laundromats outside of camp grounds. However, I am sworn to secrecy and could not possibly reveal my source — as most reporters don’t. The laundry is one scoop I am happy to pass down to the younger generations. 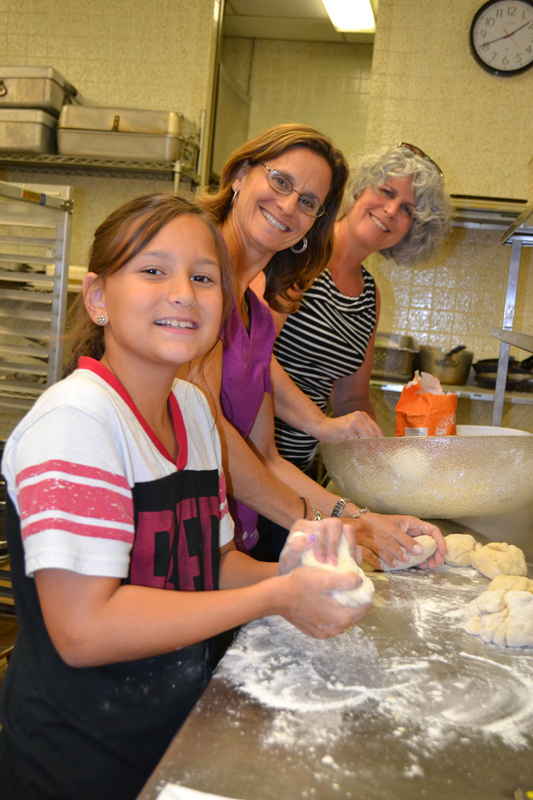 Please feel free to forward your camp stories or photos to lindawd@texasjewishpost.com. TJP’s “Light Lines” has earned recognition for Harriet Gross from the National Society of Newspaper Columnists. This column was awarded an Honorable Mention in the organization’s annual competition. Since NSNC has no categories for special-interest publications, “Light Lines” was cited among “general interest” columns in all publications with circulation of under 50,000. Awards were presented on June 29 during the Society’s conference in Hartford, Conn.
From 10 a.m. to 12 p.m. on Sunday, Aug. 4 at Congregation Beth Torah, 720 W. Lookout Drive in Richardson, prospective members and community members are invited to attend the shul’s annual event. The festivities will feature games, a bounce house for children, Ben and Jerry’s ice cream as well as Israeli dancing. This event will provide an opportunity to meet with Beth Torah’s Rabbi Rafi Cohen, lay leadership and representatives of the synagogue’s preschool and Learning Center as well as its many groups and clubs. The event is free and no reservations are necessary. Beth Torah, which serves Dallas and all of its northern suburbs, is located near the crossroads of the Bush Turnpike and Central Expressway. For additional information, call 972-234-1542. A note from the staff at Temple Shalom’s “Traditions” gift shop reminded us that July is Customer Appreciation Month at the gift shop. Traditions is the Judaica shop at Temple Shalom. Customers are invited to take 25 percent off regular merchandise and 10 percent off books. This does not include previous markdown items or special orders. One hundred percent of all proceeds go directly to the support of Temple Shalom youth and community initiatives. We like to hear from our readers. Send your news and announcements to lindawd@texasjewishpost.com. I have a few issues with your “equations” (which you name, later in your letter, evolution as the scientific explanation for the existence of the world). For one, where do we find that a scientific explanation of the existence of the world precludes the existence of, or its creation by, a Creator? Why does one need to resort to atheism in order to be scientific? Many of the greatest scientists of all time, including Einstein, were strong believers in God as the Creator. Furthermore, why is atheism more logical than the belief in God? Let us address the crux of your argument: the assumption that science has an explanation for the existence of the world. Science, by definition, is the study of the world once it exists, not the study of what (or who) brought the world into existence. Although there are scientists and scholars of evolution who speculate how life may have begun according to evolution theory, nothing has been proven. On the contrary, there are over half a dozen theories to that effect, every one of which excludes the others as illogical or impossible. And this is a dispute about the beginning of life, not of the source of the world or the universe, none of which have anything to do with evolution. Science, by definition, can’t discuss the world before it exists; if a scientist will do so he will be crossing over the line of a scientist to that of a theologian. According to Steven Hawking, all science and mathematics begin after the Big Bang; before the Big Bang all of science and physics break down. (By the way, the Big Bang was mentioned in our Torah commentaries many hundreds of years before it became accepted by science). As to your assumption that atheism/science is a more plausible explanation of the world as it exists than the creation by God; this argument, even if we should accept it, only takes into consideration a purely physical existence bereft of a spiritual realm. It would have to assume, as atheistic proponents of evolution indeed do, that there is no human soul. A human being is nothing but a hyper-developed animal which accidentally, by chance mutations and survival of the fittest, developed into what Homo sapiens is today. Without us getting into the nitty-gritty of evolution, if we are being intellectually honest, we will have to agree that to hold that position one would have to admit that there are no absolute morals existing in the world; any morals espoused by individuals or society were arbitrarily arrived at and nobody has the right to say what is right or wrong. Hitler felt it was better for the world to relieve it of the “scourge of the Jews.” If he felt that way and there is no absolute right or wrong, nobody has the right to say he was absolutely wrong. The only logical way to explain our belief, religious or not, that he was absolutely wrong, or anyone who believes we are not just animals to be disposed of at anyone’s whim, is that there is a God who has endowed this world and the people in it with a sense of right and wrong and with iron-clad morals which transcend the whims of society. The only logical way to explain that aspect of the world is a creation by God. Mazel Tov to Marilyn and Harrell Pailet, who celebrated their golden wedding anniversary on June 30. The Pailets were honored by their children, Eric, Jeff and Summer, Kevin and Mahra, David and Sarah, as well as their six grandchildren (and counting) with a celebratory toast on June 29. Approximately 80 guests attended the celebration, including Harrell’s brother, Sanford Pailet of New Orleans. Eileen and Aaron Kreisler shared the simcha, and interestingly enough, share the same wedding day (and year). With a chuppah and flowers, Rabbi Hillel Silverman performed both ceremonies at Congregation Shearith Israel at 12 and 6 p.m. The celebration was especially significant for Summer Pailet, who had just returned from a JWRP (Jewish Women’s Renaissance Project) in Israel, presented Marilyn and Harrell with a special side-by–side photo frame and story from her journey in Israel three days earlier. While in Israel, Summer’s group performed the mitzvah of selecting a letter for a Torah which was being commissioned in Israel. Summer selected a nun, which has the numerical value of 50, in her in-laws’ honor. Summer shared that throughout her week at the Kotel, she found a comfortable place and could always see two white doves perched upon the Western Wall, which seemed to symbolize the beautiful relationship that Marilyn and Harrell share. The Tycher Library will launch its second annual free family program from 2:30 to 4:30 p.m. on Sunday, July 28 at The Tycher Library in the Mankoff Center for Jewish Learning on the second floor of the Aaron Family Jewish Community Center, 7900 Northhaven Road. Parents and their children are invited to attend the program and embark upon a journey filled with adventure and treasure. After meeting in the Tycher Library for a story and activity, the rest of the venue will include a treasure hunt at the JCC pool. 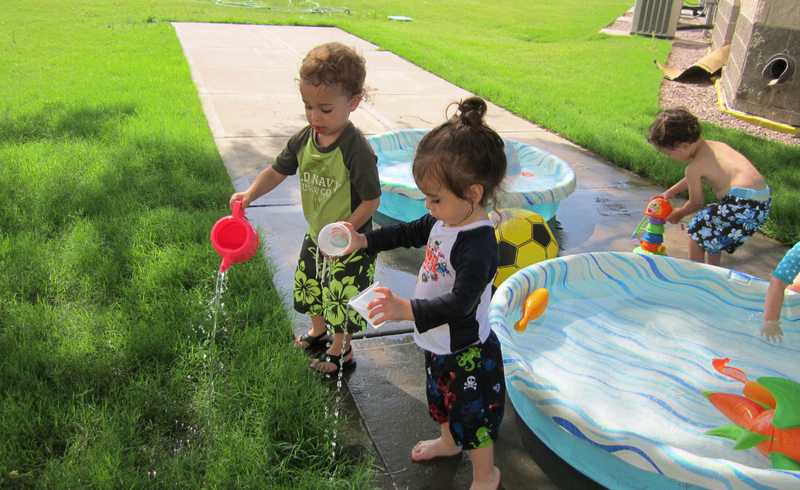 All buccaneers should come to the library wearing their bathing suits (bring a towel and a parent). For additional information, please RSVP to Nina Goldboro at 214-239-7132, or ngoldboro@jfgd.org by July 24. The event is a free family-friendly program aimed at children ages 6-12, but welcoming to all. Remember, children must be accompanied by an adult to attend the entire program. Jilliane Bowser, athlete, trainer and coach, seems to possess all the qualities needed to be the next director of sports and fitness at the JCC of Dallas. Jilliane hails from Indiana where she held the position of director of campus recreation, adjunct professor as well as personal trainer at Indiana Wesleyan University. She supervised 3,300 resident and commuter students, 600 faculty and staff and 200 community members. She holds a master’s of science in exercise science – performance enhancement and injury prevention. Jilliane is one of the leading sports and fitness professionals in the field. She has an extensive background in wellness, sports recreation and youth fitness. In addition, she was the race director for the Hodson Half Marathon, she is a certified exercise personal trainer, group fitness instructor, lifeguard, and member of the National Intramural- Recreational Sports Association. Her coaching responsibilities included RJ Baskett Middle School sixth grade girls basketball in 2009; Malone College Women’s Tennis from 1998 to 1999; and Malone College Women’s Basketball from 1997 to 2000. We wish her well in her new position. Rabbi William Gershon, senior rabbi at Congregation Shearith Israel of Dallas, was one of 28 rabbis named Shalom Hartman Institute Senior Rabbinic Fellows. Graduates of the intensive three-year Rabbinic Leadership Initiative (RLI) program, who are all influential leaders in their synagogues, communities and the Jewish world, have engaged in the highest level of Jewish study focused on meeting contemporary challenges with ever-greater intellectual and moral sophistication. Past and current RLI participants represent a broad range of religious, geographic and gender diversity. The pluralistic framework of the program creates a community of rabbis uniquely able to transform the lives of Jews in North America. Participants spend a month each summer and a week each winter studying at The Hartman Institute campus in Jerusalem. During the remainder of each year, participants engage in weekly study with leading Hartman Institute scholars, learning classical and modern sources and developing ways to integrate this knowledge into their rabbinical work. The Shalom Hartman Institute has made the advancement of rabbinic leadership a core mission since its inception almost 35 years ago. What’s up at Camp Gan Israel? With a reputation as a trendsetter in Jewish day camping, it can be daunting to provide innovative and original activities and trips each year. Maintaining the level of excitement, enthusiasm and spirit year after year, is a challenge Chabad of Plano’s Camp Gan Israel welcomes, according to Rabbi Menachem Block, its spiritual leader. Gan Izzy’s counselors that are flown in from around the country are chosen from many applicants for their unique ability to combine a rousing good time with a love for Judaism within its campers. The bond between camper and counselor often extends throughout the year as campers communicate with their counselors long after the summer has ended. 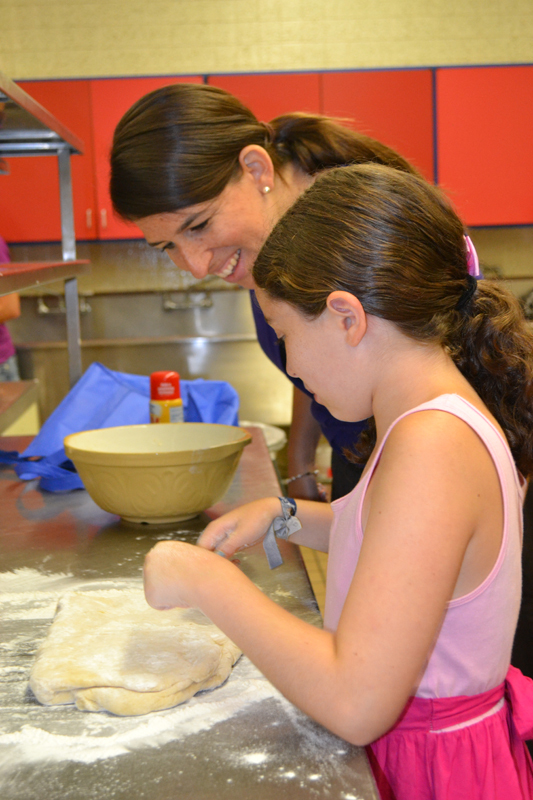 Beyond the counselors’ contributions are the unusual trips and opportunities for Gan Izzy’s campers. The first three weeks of camp has seen campers participate in a tour of Cowboy Stadium, Adventure Landing, Going CooCoo’s and The Heard Musuem. In addition, the oldest bunks have gone rock climbing and indoor surfing. New this year, is a late night for campers in second grade and older. Children roller skated, had a cake decorating contest, played”Minute to Win It” and ate supper as a camp. The second late night will be happening the last week of camp. This year, CGI has over 170 campers enrolled. Camp Gan Israel is located at the Lang Chabad Center in Plano and is a project of Chabad of Dallas/The Shul and Chabad of Plano /Collin County. Camp ends Friday Aug. 2, but one can still sign up on a weekly basis. For more information visit cgiplano.org or call the Camp office 972-596-8270. Glazer’s, Inc., one of the nation’s leading wine, spirits and malt beverage distributors, recently announced the consolidation of its fine wine divisions under its new name of D&E Fine Wine Group. Throughout the years and because of past acquisitions, Glazer’s fine wine division has been known by several different names throughout the industry; Domaines & Estates, In Vie, and 55 Degrees. The family-owned company has moved forward to unify these brands to build a new identity under the moniker D&E Fine Wine Group. Additionally, a newly designed logo has been developed to portray Glazer’s new image for the fine wine group throughout the industry. Glazer’s, one of the country’s largest privately held companies, currently operates in 14 states and the Caribbean. The company has operations in Alabama, Arizona, Arkansas, Indiana, Iowa, Kansas, Kentucky, Louisiana, Mississippi, Missouri, Ohio, Oklahoma, Tennessee, Texas and the US Virgin Islands. Sheldon “Shelly” Stein is the president and CEO of Glazer’s. The losses escalate as we age. Just a few weeks ago, my last aunt passed away, the youngest of 12 children; my mother was the oldest. In such large families, relationships are not always step-ladder simple. Esther was about 10 years older than I, but I married early and she married late: both weddings in the same year. I had my two children early; she had her two a bit later, each following mine by just a year. Figure it out: I have first cousins who are younger than my son and daughter! But I’m more an aunt to them, because their mother and I were more like sisters than members of different generations. David took in stride the realization that she now lumped him together with her five actual brothers: “I’m only grateful she recognizes I’m someone in the family,” he told me. Then even that faded away. Dear Esther left this world peacefully in her sleep, still beautiful, still smiling, but knowing no one at all. One of my cousins who’s older than I likes to remind me, at times like this, “We’ve stepped right up to the head of the line.” It’s a normal progression. I visited Esther at the Home for Jewish Aged on a Sunday morning during my recent Pittsburgh trip, and went from there to visit all my long-gone family members in the family cemetery. But there had been a severe storm several days earlier, and the heavy rains and high winds toppled my mother’s headstone, which was then lying flat on its face. I’m a believer in omens, and sure enough, soon after I returned to Dallas, I got the call that Esther was about to join those others there. I didn’t go back for the funeral, but will be there again when her stone is unveiled. I’ve learned that the ground is still too wet to reset my mother’s stone; I was glad to not see that again. The one now suffering most from our family’s latest loss is my uncle “Srol” (Yisroel), older than Esther by less than two years, now the last of the dozen siblings. He’s a healthy 90, but I know what he meant when he called me with the news: “I guess I’m the one who’ll have to turn out the lights,” he said. His own plot is already bought and paid for in the same row as all the others. May this be God’s will, for Penny, and for Esther.